The class comes with 4 pets that can be obtained trough 'taming' or catching wild animals. each pet has different stats that each change when leveling up your pet. pick a favourite pet, as they all can reach level 200 !! 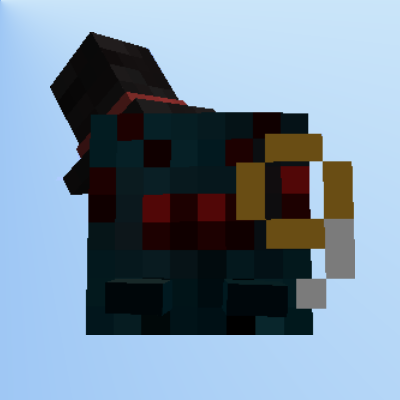 Find the beast within with this mod, and release your dangerous pets on your mobs and foes ! Requires the Rpg Inventory to run. hi! my frinds and me use this mod, all class, mage, necro, pala, berserker, archer and beastmaster. And i have some ideas for equilibrate the mod, if u are interesting contact to me! A remodel of the config would be incredibly helpful. To easily know which stat is which, so rather then saying 3, it says head:3. Hard to tell which of the stats is the enchatability atm because of it. I'm currently using The Beastmaster, Necromancer and Paladin in my pack. The pack consists of 3 factions. Angel, Human and Demon. At the moment I can say the spawning of the zombies needs to be more consistent for necro. I've personally tweaked the melee damage down and increased their spell ability damage as to me it makes more sense. The paladin would do great with a shield bash ability (Hold Shift+Right Click) or even the ability to block spell effects. As far as beast master, i'm still working my way towards it. I have a discord for the pack if you wanna join so I can ping you as I balance it more and come up with ideas and such! P.S. Love love love what you are doing! https://discord.gg/68psan7 If you're interested. Please, someone help! The pets I spawn aren't like depicted anywhere. There are just normal baby animals. And as much as I try to level them up, they don't grow!!! Is this user error? Wrong download? Is level 10 too low for them to grow? How do they get higher levels quicker?? HELP! level 10 is too low. try to get them higher. they can grow up to level 200 and scale based on their level. 10 is literally 5% of the size they will become. dont panic ! I do work on these mods. I'm currently trying to balance out all the classes. this isn't easy at all. oh, and amazing job with these mods, I'm really loving the classes and the bling! Is there any chance that you could make your mods show on the twitch browser? That'd be incredibly amazing. Sooo, is it possible to update to 1.12.2? Thanks,... Power to the beast!!! I may be missing something here but Im having a lot of trouble obtained rough fur or claws from animals. the luring mechanic works like a charm but once the animal 'trusts' me, it simply follows me around and I cant seem to get any drops from them. Otherwise, the Beastmaster set is very functional, and the way it incorporates beasts is really well done! Thanks ! I appreciate your understanding of the complexity.